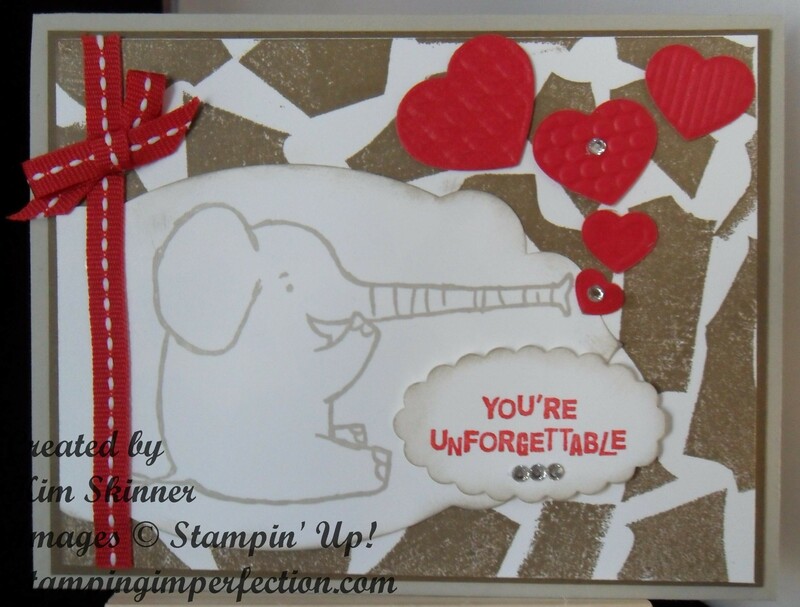 Henry Says That We Can Create Easy Animal Backgrounds with Stampin’ Up! 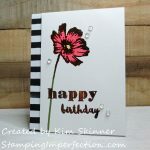 I’ve been playing with background stamping. 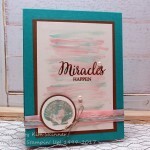 I’m trying things that are outside the stamp case! 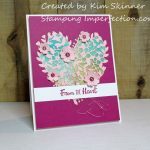 Yesterday, I posted a video tutorial and card idea for clear block background stamping. 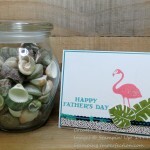 Today, I have a tutorial on making a Faux Animal Print background. I just love the look that I got using cut up pieces of the left over rubber backing on the clear mount stamps. How cute is this? I created a video so that you can see exactly how simple that background is to do. Papers and Inks: Whisper White (#100730), Real Red (#102482), Soft Suede (#115318), and Crumb Cake (#102953) card stock. Soft Suede (#126978), Sahara Sand (#126976) and Real Red (#126949) ink. Details: The crumb cake card base is cut at 5-1/2 x 11″, scored at 4-1/4″. The soft suede mat behind the animal print is cut at 4 x 5-1/4″, the white for the animal print is cut at 3-3/4 x 5″. Henry is stamped in sahara sand and cut with the apothecary accents framelit. 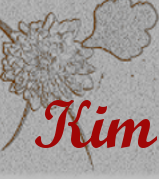 The left edge was cut down to leave more background showing. I stamped the sentiment in real red, punched it with the scallop oval and then sponged a little sahara sand around the edges. This is attached with dimensionals and 3 rhinestones have been added for more interest. The hearts were cut from real red using the hearts embosslit. 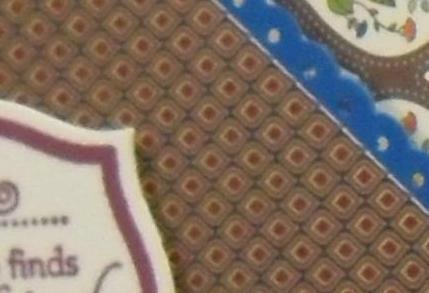 They are attached with glue dots, as is the ribbon and bow. All other pieces are layered together with snail! Ready to place an order? Click here to place an online order now! I’m off to finish my next February Virtual Club project video tutorial! 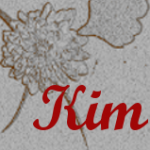 Here is a sneak peak! Curious yet? Join my Virtual Club and place an online order of $35 or more by February 15th to get my February Virtual Club cards and projects for FREE! Click here to join!